The makers of ModernBlox have spent the last few years building their business block by block, and now they’re ready to show it off. On July 2 from 10:30 am to 6 pm the public is invited to get inside the box and tour a prototype of a model home that the ModernBlox team has converted. Company co-founders Ben Loh, Swapneed Deshpande, Lee Easton and Askari Addison founded ModernBlox with the idea that they could provide a cost-effective home or business solution using metal shipping containers. Their creations are able to withstand winds up to 150 miles-per-hour, making them a safer alternative to traditional mobile homes. They began building their business on a rural farm in Payne county and recently moved their company headquarters into the Meridian Technology Center for Business Development. 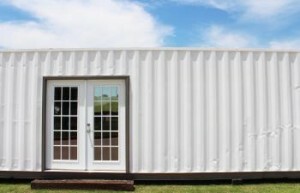 ModernBlox’s offices are located within the Center, and they have a model container located near the Construction Trades area of the school, behind Building J. The Open House will be held in the converted shipping container. Attendees should use Meridian entrance two and follow it to back of the school. Building J is on the left. For more information on the Open House contact ModernBlox at lee@modernblox.com or 405.673.6215. The state of Oklahoma provides special tax incentives for incubator clients. 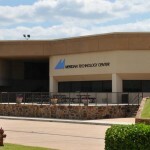 The Center for Business Development is an Oklahoma Department of Commerce certified business incubator. This qualifies resident clients in good standing in the incubation program or approved graduates of an incubator program for a five-year state business income tax exemption, with an additional five-year exemption for businesses that do a majority of their sales outside of Oklahoma. Incubator clients also have access to many infrastructure needs of new companies, such as high-quality office and lab space, meeting rooms and a physical address. Companies can be residential or virtual tenants of the Center for Business Development. 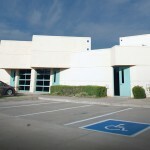 Residential Tenants access services and rent dedicated office or lab space for up to three years. Virtual Tenants access services but do not rent space. Clients can move easily between both tenant types depending on their business needs and situation.